Welcome to the My League Online (MyLO) info page. MyLO is an open-sourced website platform that harnesses current technology tools for easy content sharing, syndication, accessibility, and mobile viewing essential to drive traffic and increase engagement for your League. Ready to sign up for MyLO? Sign your MOU and pay online now! We are excited to announce our new engaging color and menu designs options for current and new MyLO customers. 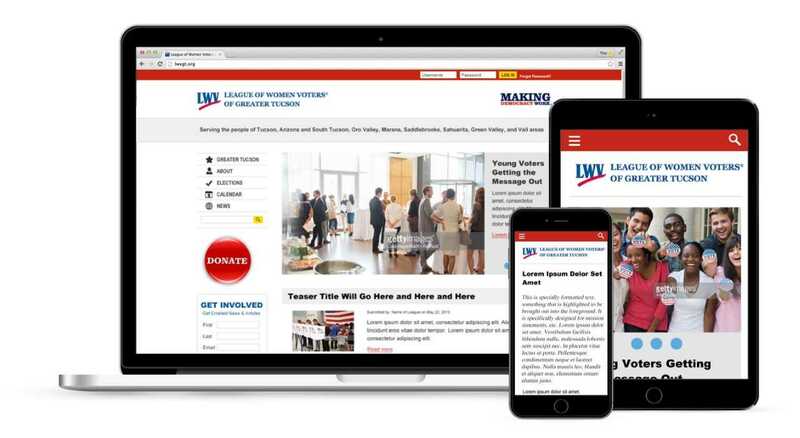 In response to the new design of the LWVUS website, as well as customer requests for menu options, you can now choose from two colors and multiple menu design options. Find a design that fits your community. Contact us today to change your design or with any questions: mylo [at] lwvc.org Your design change only takes a few days. We are pleased to be able to offer these new design options at no additional charge. 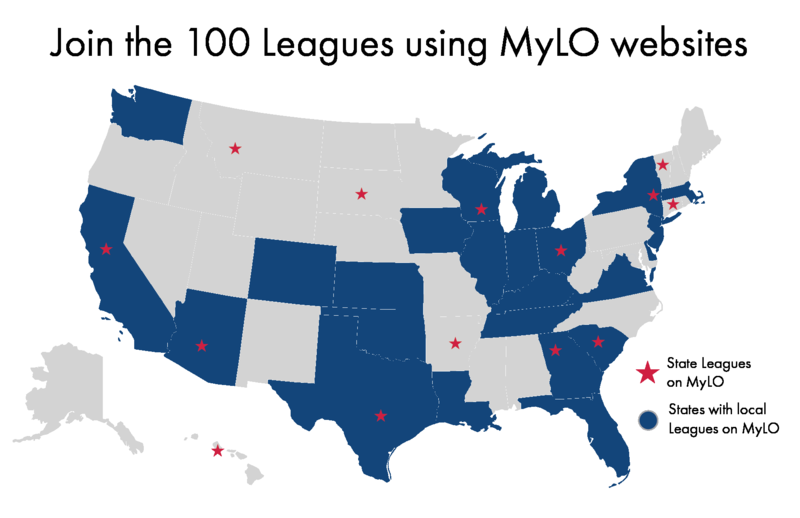 MyLO has now been up and running for over a year and we have enjoyed working with our amazing Leagues across the nation. Many Leagues purchased MyLO when it debuted, but your MyLO site is still not live. What can the MyLO Team do to help you? Since the day your League purchased MyLO web-hosting service, your League has been responsible for payment of the MyLO service and the current live website (LEW or 3rd party service, i.e. Wix). For this reason, we want to help you as soon as possible to avoid additional, unnecessary billing. We have allowed a generous grace period that is now over. If you are having trouble finding the right person to edit your MyLO website, your League should consider purchasing the content migration package from us, your MyLO Team. Many of our Leagues have already paid for an additional year of web-hosting service. Please reach out to us so we can help your League avoid another bill! Have more questions? View all webinars on our special GoToWebinar Channel. Watch our September Office Hours Session on web forms, pages and more. Share content! No more double entry! Your current LEW system (http://help.lwvnet.org/) will continue to be available on the existing platform for the foreseeable future. The cost of LEW: In our July 1, 2016 update, we notified you that the current LEW price ($100 one-time setup fee and $200 annually) is available for new subscribers and renewals due on or before June 30, 2017. As of July 1, 2017, the price for LEW will increase to ($100 one-time set-up fee and $250 annually for all subscribers). Sign up for MyLO Office Hours and get your questions answered live! Find out more about MyLO on our special web page. 1. Save this for your records: use your print button (ctrl P) to print a copy of this page or save a PDF copy to your computer. 2. Read this Service Agreement. 3. Click “I Agree” to accept this Service Agreement. 4. You will then enter your League's information on the next page. 5. You then can pay online or by check.